An online survey system provides a convenient way for people to conduct surveys. It removes the necessity of human resources to hold paper surveys or telephone interviews and hence reduces the cost significantly. Nevertheless, accuracy and privacy remain as the major obstacles that need additional attention. To conduct an accurate survey, privacy maybe lost, and vice versa. 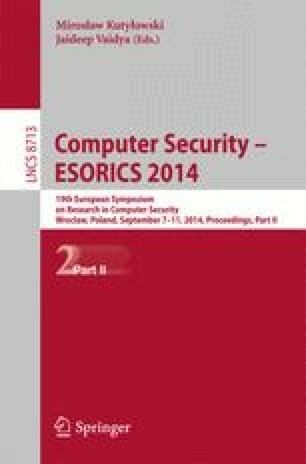 In this paper, we provide new insight to preserve these two seeming contradictory issues in online survey systems especially suitable in big data era. We propose a secure system, which is shown to be efficient and practical by simulation data. Our analysis further shows that the proposed solution is desirable not only in online survey systems but also in several potential applications, including E-Voting, Smart-Grid and Vehicular Ad Hoc Networks.